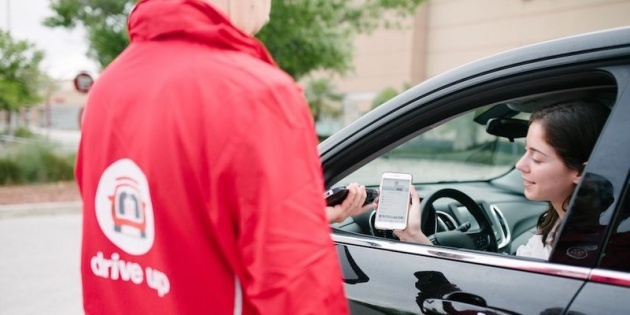 Target stores in Florida and Texas are now offering drive-up service. The retail chain announced Tuesday customers can buy items without leaving their car. The service began last fall in Minneapolis, where the company is headquartered. Target hopes to expand the service to nearly 1,000 stores across the U.S. by the end of the year. Orders can be placed with the Target mobile app and should be ready in less than two hours. Customers then park in designated spots outside the store and employees bring out the orders. Other states with Target's drive-up service are Alabama, Georgia, Louisiana, Mississippi, Oklahoma and South Carolina. Walmart offers a similar drive-up service for groceries at some locations, but Target's service applies to any in-stock items at the store. Both retailers have previously offered in-store pickup.